AMC may not be the first make you think of when it comes to muscle cars, but at the height of the muscle car years, they were producing vehicles as good as anybody else. AMC started from a merger of the Nash and Hudson brands in 1954. Their first successes were with the Marlin and Rambler, but as the late 60s rolled on people wanted an affordable vehicle with great power and performance, so the AMX (American Motors eXperimental) was born in 1968. The line brought in innovations and awards a-plenty, but the public loved the car for its smaller size and decent power. 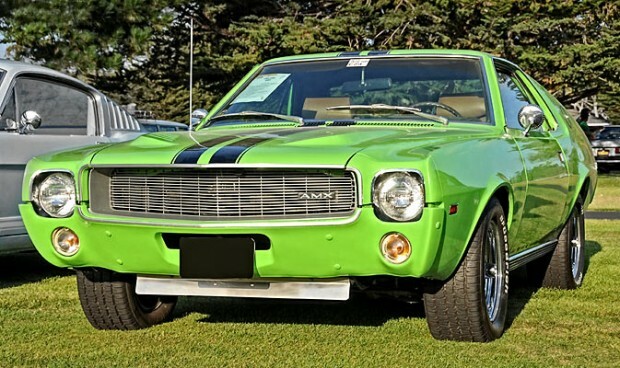 The AMC AMX only lived for a few short years, but in that time it managed to clock up many awards, various rare option packages and a legacy that has lasted over 40 years. Check out the video below to get an excellent rundown of the AMC AMX.